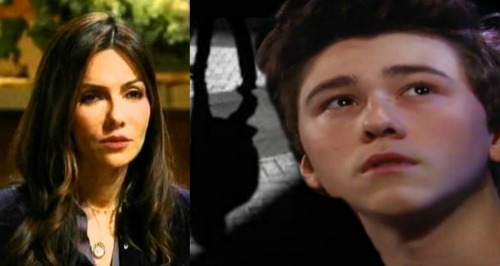 General Hospital (GH) spoilers tease that Vanessa Marcil (ex-Brenda Barrett) is planning to reveal something big soon. In an Instagram post, Marcil hinted that she’d be making a special announcement within the next two weeks. She certainly seems excited about this huge news. Many soap fans are hopeful that Marcil has a GH return in the works. There’s been buzz about Marcil’s comeback in the past, but perhaps now the time is finally right. As other major players make their way back to Port Charles, Marcil could strut right in as Brenda. If you’re looking for a reason for Brenda’s return, you might want to focus on Oscar (Garren Stitt). There’s been no official word on the identity of Oscar’s parents, so this mystery is wide open. Since General Hospital has kept everyone in the dark about Oscar’s mother for so long, it might be someone familiar. Could Brenda turn out to be this mysterious mom? Carly (Laura Wright) and Sonny (Maurice Benard) still haven’t met Oscar’s mother, so they could also be stunned by her identity. What would be more shocking that Brenda’s sudden reappearance? Sonny’s ex would be the mother of his stepdaughter’s beau. Gotta love the crazy connections on a soap! Josslyn (Eden McCoy) and Oscar could face some problems as a result of this wild link. Oscar seems nervous about letting Sonny and Carly in on the secret. Does he know about Brenda’s history with Sonny? That would explain Oscar’s jitters. He doesn’t want to do anything to jeopardize his blooming romance. 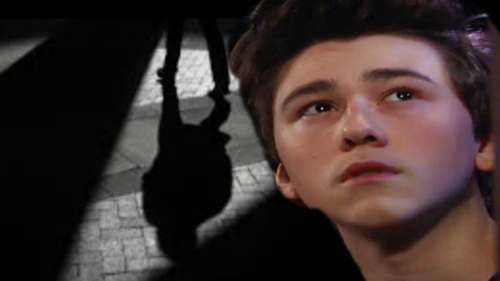 Brenda and Sonny’s old bond could make some waves, so Oscar might want to avoid that. It would be fun to watch Brenda stir up some trouble. Josslyn and Oscar would have to find a way to make it work during the chaos. Of course, Oscar’s father will come into play eventually. That could take this storyline in another intriguing direction, so there’d be some gripping material to play around with. Even if Brenda returns for another reason, GH could undoubtedly find a great story for her. Do you think Vanessa Marcil made a new deal with General Hospital? Could Brenda get back in the drama before long? We’ll give you updates as other details emerge. Stick with the ABC soap and don’t forget to check CDL often for the latest General Hospital spoilers, updates and news.